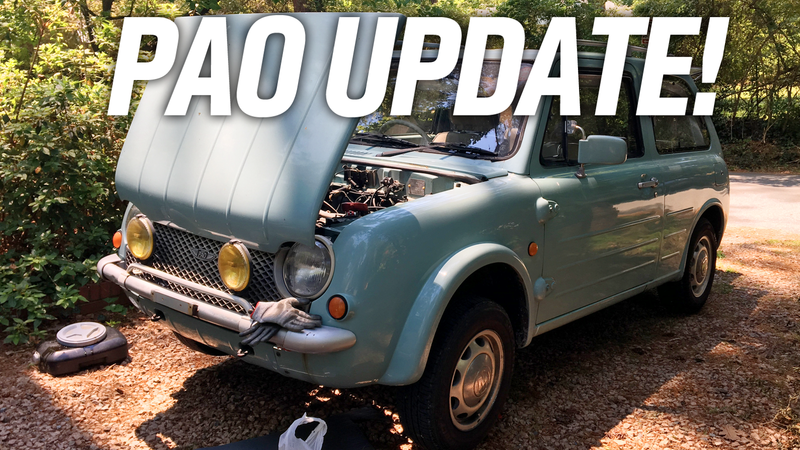 Here I am, about six months into Nissan Pao ownership, I’m delighted to say that my ardor has yet to cool. I’m still thrilled every time I get into this thing to drive, and I’m pretty convinced that if there was a satellite that could track trails and wakes of atomic joy particles in the atmosphere, it would produce an accurate map of everywhere I’ve been. I’ve learned some more about life with a Pao, so gather ‘round.